Our All Star Hyundai sales department invites all drivers in the Prairieville, Louisiana area to our reputable new and used dealership in Baton Rouge to explore all four of the 2018 Hyundai Kona models that are available! Our team is familiar with each trim and will not only go over the systems that come standard on the Kona model you're interested in but those that can be added on to further customize your new 2018 ride. Ensure you can drive home in a 2018 Hyundai Kona tonight, send over a credit application via our interactive website now! So if you're looking for a vehicle that actively provides for the safety needs of your road trip companions, head to All Star Hyundai to explore the Kona! 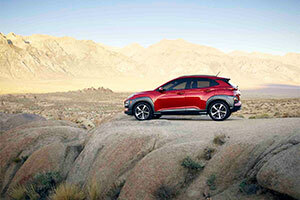 Boasting either an inline 4-cylinder engine or a turbocharged version, the 2018 Hyundai Kona is able to handle the on-road needs of all drivers. There are so many reasons why drivers buy at All Star Hyundai, so don't hesitate to visit us for a test drive to learn more! Our team will get you behind the wheel, review the Front Wheel Drive specifications and the All Wheel Drive that is available, as well as the differences between the 6-speed automatic transmission with SHIFTRONIC® and the 7-speed EcoShift® Dual Clutch transmission so that you can customize your Kona right from the start. From its power driver seat with a heated feature to its 8-inch touchscreen with navigation, Apple CarPlay™ and Android Auto™ capabilities, the 2018 Hyundai Kona is able to enhance all your driving excursions. Contact All Star Hyundai to learn about the rear view monitor with parking guidance that comes standard on all trims or to hear about the innovative Heads-Up Display that the Ultimate trim model boasts. Equipped with impressive features like wireless device charging, a Multi-Information Display and Proximity Key entry, it's no wonder Denham Springs, LA drivers are choosing the 2018 Hyundai Kona! 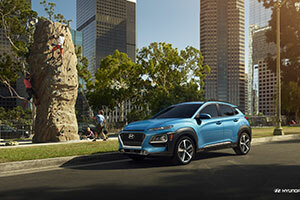 Don't miss your chance to buy or lease the adventurous 2018 Hyundai Kona that is now available, visit our Hyundai dealership in Baton Rouge, LA near Denham Springs and Prairieville today.  We provide tailored auto shopping experiences that are sure to have you driving away feeling satisfied!